Below you fill find all funeral homes and cemeteries in or near Westphalia. Suburbs of Westphalia: Babbtown, Folk. Westphalia is also known as: Osage County / Westphalia city. Zip codes in the city: 65085. Westphalia is a city in Osage County, Missouri, United States. The population was 389 at the 2010 census. It is part of the Jefferson City, Missouri Metropolitan Statistical Area.Westphalia is heavily influenced by the German heritage of the majority of its inhabitants. Many of the early settlers of the area came from the Westphalia region of Germany, hence the name. Many buildings are influenced by nineteenth-century German architecture, and streets are labeled in both English and German. 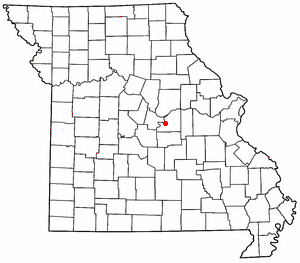 The center of population of Missouri is located in Westphalia. It was revealed by Unterrified Democrat on December 12th, 2018 that Arthur Bernard Graw passed away in Westphalia, Missouri. Graw was 82 years old. Send flowers to express your sympathy and honor Arthur Bernard's life. It was written by Unterrified Democrat on December 12th, 2018 that Marie R Heckman (Luebbert) passed away in Westphalia, Missouri. Ms. Heckman was 98 years old. Send flowers to express your sorrow and honor Marie R's life. It was disclosed by Unterrified Democrat on November 7th, 2018 that Edna Imogene Monroe (Mosley) passed on in Westphalia, Missouri. Ms. Monroe was 91 years old. Send flowers to express your sympathy and honor Edna Imogene's life. It was noted by Unterrified Democrat on October 31st, 2018 that Johanna "Toots" Bexten (Ruder) died in Westphalia, Missouri. Ms. Bexten was 93 years old. Send flowers to share your condolences and honor Johanna "Toots"'s life. It was revealed by The Maries County Gazette on October 17th, 2018 that Georgia N Hood (Crider) passed on in Westphalia, Missouri. Ms. Hood was 88 years old. Send flowers to express your sympathy and honor Georgia N's life. It was reported by Unterrified Democrat on September 26th, 2018 that Rita A Holtschneider (Redel) died in Westphalia, Missouri. Ms. Holtschneider was 92 years old. Send flowers to express your sorrow and honor Rita A's life. It was reported by Unterrified Democrat on July 25th, 2018 that Joanne Helen Falter (Sommers) passed away in Westphalia, Missouri. Ms. Falter was 62 years old. Send flowers to share your condolences and honor Joanne Helen's life. It was noted by Unterrified Democrat on July 11th, 2018 that Ruth Fern Manley (Ferrier) perished in Westphalia, Missouri. Ms. Manley was 98 years old. Send flowers to express your sorrow and honor Ruth Fern's life. It was written by Bell Banner on June 27th, 2018 that Reuben Edward Luebbering passed away in Westphalia, Missouri. Luebbering was 77 years old. Send flowers to express your sorrow and honor Reuben Edward's life. It was noted by Unterrified Democrat on June 13th, 2018 that Daniel Joseph Haines perished in Westphalia, Missouri. Haines was 40 years old. Send flowers to share your condolences and honor Daniel Joseph's life. The population was 320 at the 2000 census. It is part of the Jefferson City, Missouri Jefferson City, Missouri Metropolitan Area Statistical Area. Westphalia is a city in Osage County, Missouri County, Missouri, United States. . .
funeral directors for Westphalia, MO. Find phone numbers, addresses, maps, driving directions and reviews for funeral directors in Westphalia, MO. Hilke, Jeff - Hilke Millard Funeral Home, Westphalia, MO : Reviews and maps - Yahoo! Local, 573.455.2424. Get Ratings, Reviews, Photos and more on Yahoo! Local. Dulle-Trimble Funeral Home, Westphalia, MO : Reviews and maps - Yahoo! Local, 573.455.2338. Get Ratings, Reviews, Photos and more on Yahoo! Local. We work with local florists and flower shops to offer same day delivery. You will find budget sympathy flowers in Westphalia here. Our funeral flowers are cheap in price but not in value.